I’ve made Tapas many times with my coffee maker. 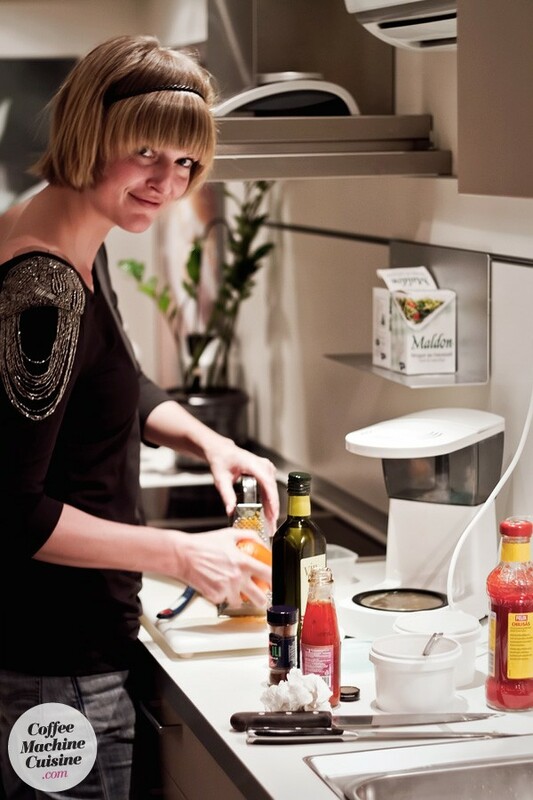 One time, a couple of years ago in the beginning of my “cooking career”, I uploaded my tapas recipe for the Swedish Tapas Championship. Didn’t think much of it afterwards since it was a coffee maker cooked tapas that I uploaded just for fun. BUT IT REACHED THE FINALS! So I had to go to Stockholm and prepare my tapas together with a couple of other finalists (they were more or less pros) in a big kitchen. So I stood there with my coffee maker while all of the others used more “traditional” ways to cook their dish. That was so weird. Then I had to present my dish in front of a jury! They didn’t know that it was cooked with a coffee maker and when I told them they first thought I was a complete moron that made fun of the championship. But after they announced the winner (it wasn’t me) and all of us had a dinner I told them more about my experiment. And they loved it! Or they might also have thought that I was mentally challenged and were just being nice to me. Just look at them! WEIRD! The guy in red is a former Swedish musician that I had a huge crush on when I was little, that made it even more weird. It looked kind of nice though, right? I wasn’t supposed to write about this tapas today. I’ve got a brand new recipe I made a couple of days ago – with great tasting tapas (I’ve learned a lot these past years!). But since I’m going on and on about this dish I might as well continue and that other recipe will have to wait. The reason why I made this particular tapas was because I fell in love with some squids. Well… Just look at them. I made a sauce as well but it had like two thousand ingredients and didn’t even taste that good. I tried to make some kind of a orange/sweet chili sauce. So serve with a nice orange sauce. Clean the squid and chop into smaller pieces. Put a piece on a stick, then a piece of onion and halloumi. 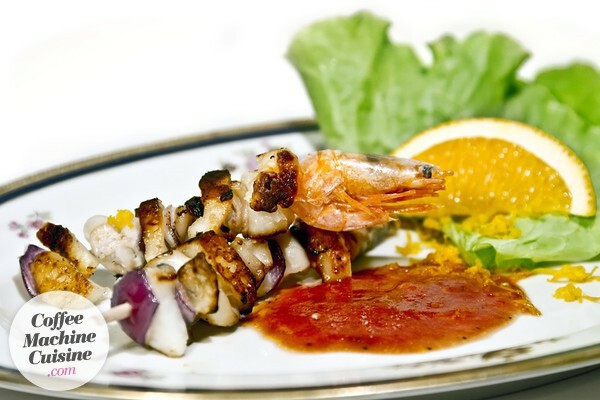 Repeat until the stick is full and place a shrimp at the end. Start your coffee maker. 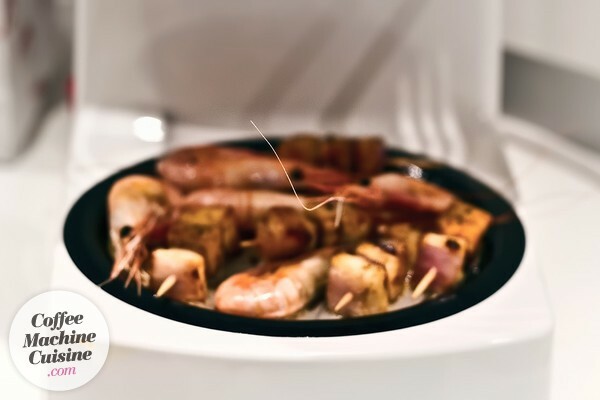 Add butter and garlic onto the coffee maker heater and place the squid tapas directly on it. Fry until they get a golden color. Twist and turn the stick every now and then. Season. 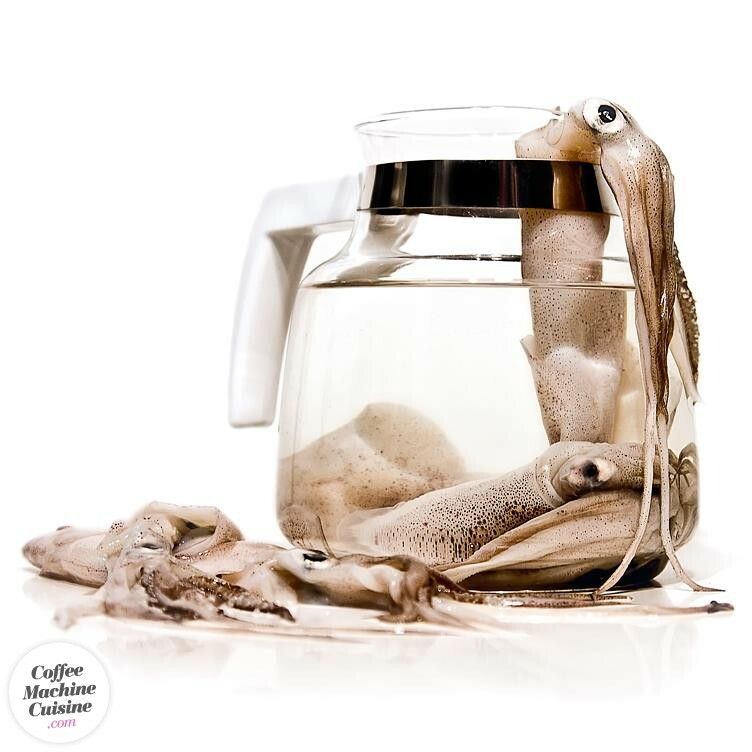 Turn off your coffee maker and serve the squid tapas together with (hopefully) a nice and fresh orange sauce. 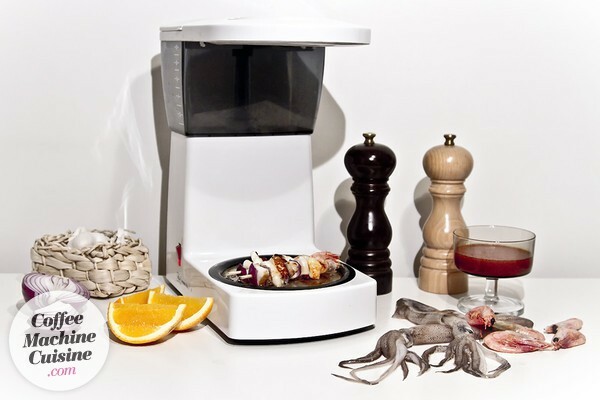 How to cook squid tapas with a coffee maker. The coffee maker chef in action. Oh yes. He definitely thought I was “different”.